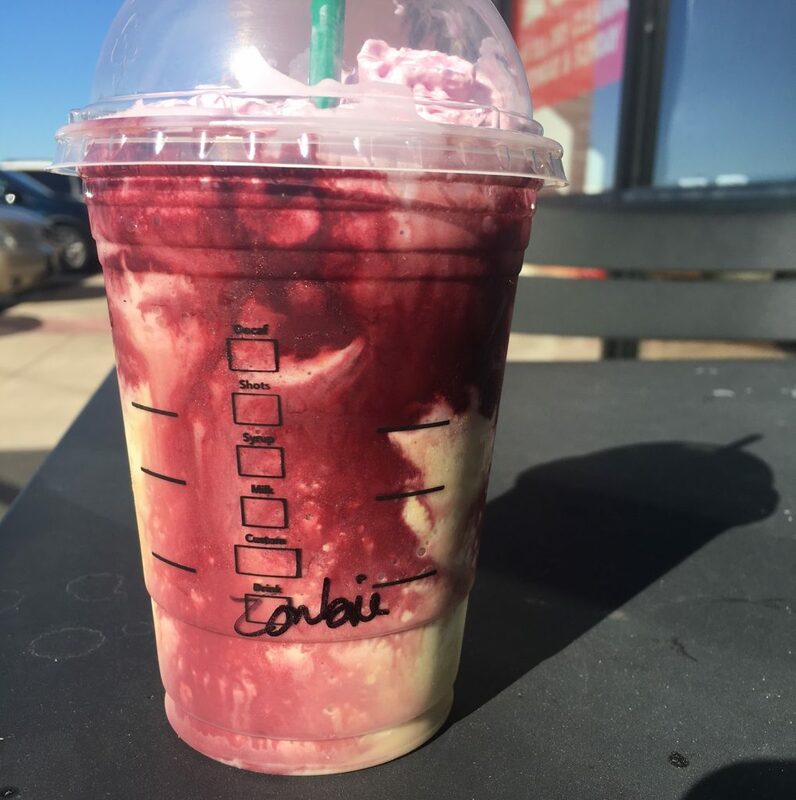 Well, we can’t say that we turned into creatures that resemble the undead cast of Michael Jackson’s Thriller video, but we can tell you this: run, don’t walk, to your nearest Starbucks to try their spooky new Halloween drink – the Zombie Frappuccino. When one of our team members got the email about Starbucks’ newest novelty frap, an excited murmur rippled through the office. We had already tried the Unicorn Frappuccino when it came out this summer, so we were dying to try the latest concoction for ourselves! 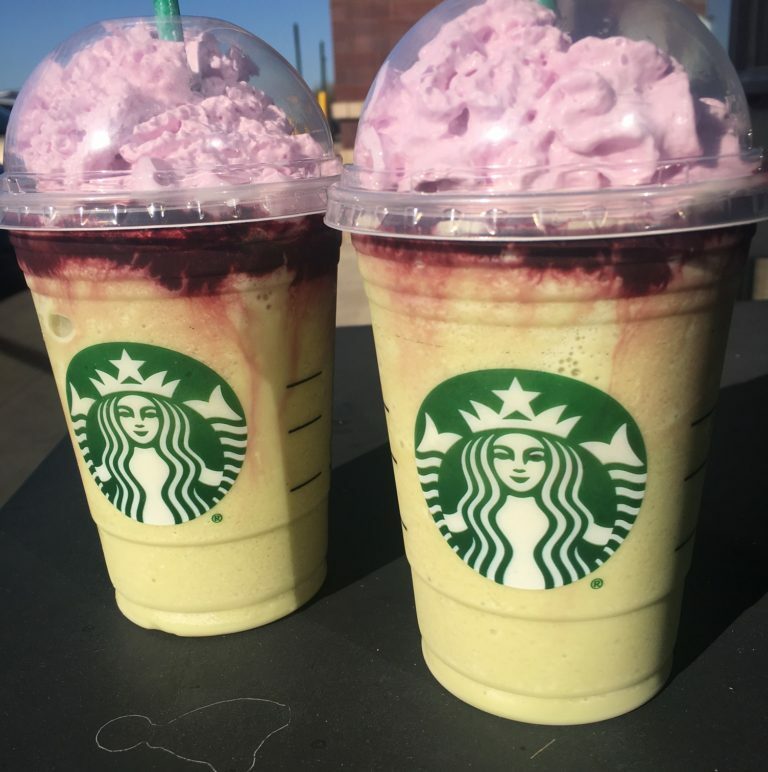 The Zombie Frappuccino consists of a zombie skin (caramel and green apple flavors) for the base, the blood of their latest victim (mocha) and of course, a big juicy brain on top (pink whipped cream). The drinks we got actually looked very similar to the drinks in Starbucks’ posts, so that was already a good sign. What’s even creepier? When it started to melt, the “blood” began oozing down the drink and mixed with the green base, making it seem like we’d made a trip to the blood bank to top off our drinks before heading back to the office. Our team liked this drink SO much more than the Unicorn Frappuccino, which tasted more like cereal milk than rainbows. Not only did it taste like a liquid green apple jolly rancher, the mocha on top was a surprisingly nice accent flavor – although we were slightly disappointed that we didn’t turn into brain-hungry zombies looking for our next meal. Everyone actually finished their drinks instead of letting them melt on our desks like we did with the Unicorn frap. Our team was in agreement that Starbucks definitely redeemed themselves after their last mediocre frappuccino, and we might just have to try the next trendy frap that pops up on their menu. Clearly, Starbucks knows what they’re doing! While they’ve come under fire in the past for the price of their drinks, they’ve really found their niche and have been able to capitalize on current trends. Example: Pumpkin spice lattes. Need I say more? So many people were already posting literally millions of photos on social media holding their Starbucks drinks (try almost 29.5 million hashtag uses). So what did Starbucks do? They one-upped themselves, giving us EVEN BETTER Instagram-worthy drinks. Bless them. Just search #starbucks on Instagram and you’ll find millions of user-generated content with beautifully staged, colorful Starbucks drinks. And even though there are millions of people who go to Starbucks each morning to get their regular French Roast, there will always be the people who walk into Starbucks solely to purchase one of their trendy drinks. Either way, Starbucks will always be in the forefront of people’s minds (and their Instagram feeds) all year long – from their summer “pink drink,” to their pumpkin spice lattes in the fall and peppermint mochas in the winter. One thing’s for certain: you can expect more photogenic drinks from Starbucks in the future. Until then, eat your hearts out and sip on one of the Zombie fraps while supplies lasts. 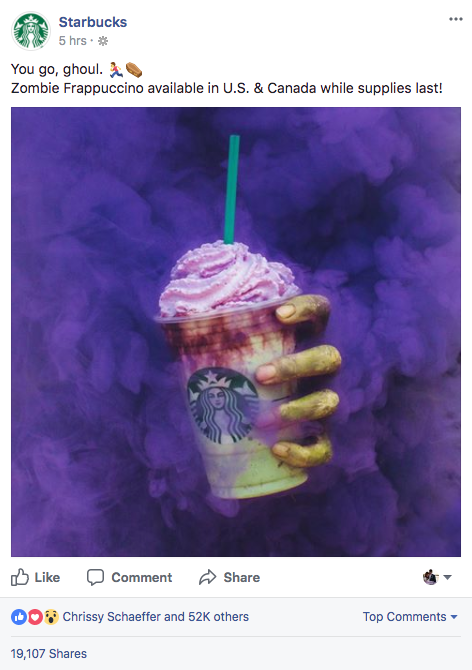 The Zombie Frappuccino is available until October 31, and in just the 5 days since it has been announced, it has garnered more than 35,400 mentions on Instagram. Let’s see if it can beat the Unicorn Frappuccino in social mentions, which is now up to 155,254 posts on Instagram. 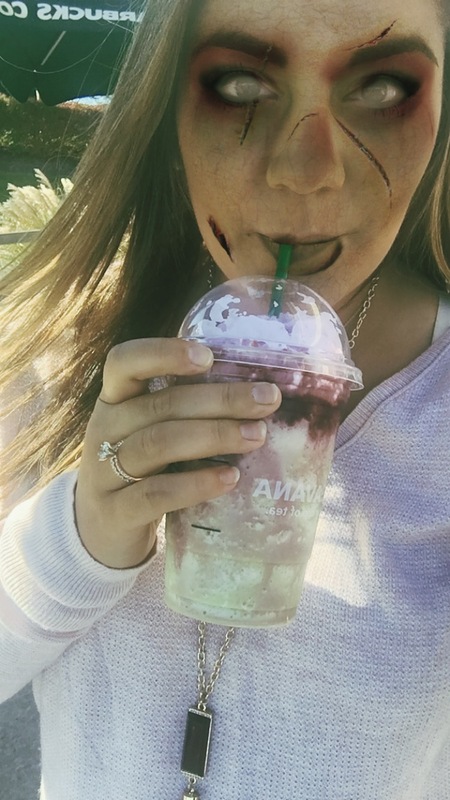 Did you like the Zombie Frappuccino? Let us know what you think of this spooky drink & if you’d like to see more trendy drinks from Starbucks!